While members were unanimous in accepting the motion, some were very strong in their support for Israel and opposition to the anti-Israel and BDS movements. That this House notes the alleged assault on a group of Jewish people in Bondi last week and condemns any act of racism. In this country we have assimilated a great range of different ethnic groups. As an Australian I grew up with the principle—as I am sure most members did—of respecting the rights of others to practice their beliefs. The events that played out in Bondi last weekend concern me. But the commentary that members of Parliament are exposed to in the media as a consequence of the actions of one particular Australian political group is more concerning. We do not want to bring the troubles of another country to Australia. Indeed, it is the responsibility of those in the Middle East to resolve the difficult and complex situation in that region—John Kerry and others are certainly working towards that. But The Greens decided that they would single out the Israeli state and sought to introduce the international boycott, divestment and sanctions campaign into the Australian political scene. That was a retrograde step for this country and those who put it to the Australian community should be condemned. I said yesterday that if Christine Milne was a true leader she would disassociate herself from those who have decided that this sort of campaign should be run in this country. In Australia we leave those sorts of campaigns alone and we let people get on with their lives. Too much of this sort of thing is happening, and Mr David Shoebridge, MLC, is a repeat offender. He says in the upper House that he does not support anti-Semitism but then does something totally different outside. His comments are often concerning. I will highlight a couple of media articles on this subject. Tim Blair’s article in the Daily Telegraph last Monday reminded me of some actions in our country that could trigger racial attacks. Unfortunately, they give thugs some sort of legitimacy to carry out such attacks. It does not help the cause if The Greens decide to take action against the Israeli state, and we must condemn them for that. The Greens member for Balmain is a good member; I doubt he would be part of this campaign. But it is unacceptable for people like The Greens Councillor Cathy Peters on Marrickville Council to move those sorts of motions. The Greens should not associate with people like that; they should control their rank and file. It is totally unacceptable for people to protest against businesses run by Jewish people. Mr Bryan Doyle: Legitimate businesses. Mr JOHN WILLIAMS: Certainly. They are legitimate businesses that are part of the Australian culture. It is absolutely disgraceful to single out those individuals. There was a call for Christine Milne to speak up, but no-one is buying that because nothing has changed. We have to put an end to this today. We must say to The Greens: This is unacceptable. They cannot continue to run a campaign in this country against something that is far outside our control. It is an international situation that is being managed a long way away from us. Unfortunately, there are so many different factions involved that there is a state of complete confusion. I do not think anyone could achieve a positive outcome, and certainly The Greens are not helping. A serial offender on this issue is Lee Rhiannon, who moved from the New South Wales upper House to the Senate. She seems to be continuing the hatred. We do not need that in politics. We are here to do a job, and it should not involve hatred. Mr RON HOENIG (Heffron) 2: The recent anti-Semitic attack in Bondi has bewildered Jews around the world and received considerable publicity. Jews in Australia have known anti-Semitic acts before; however, the attack in Bondi in which five Australian Jews were wounded was distinguished by its extreme violence and ferocity. The world knows Australia is a safe country that values the Jewish community.The attack last Friday will not change those views, but it has caused many Jews to stop and think about the tragedies that we as a people have suffered in our history. It is easy to forget that anti-Semitism occurs all too frequently around the world. At the same time that five Jewish Australians were attached in Bondi, there were massive anti-Jewish protests in Denver, Colorado, where people yelled out the slogan, “Long live the intifada”. In other words, they were calling for continued violence against the Jews of Israel. Unfortunately, there has been a massive surge in anti-Semitism around the world, including in South America, North America and Europe. It is often not as crude as the event in Bondi; sometimes other terminology is used or other acts are committed such as those that have occurred during Boycott, Divestment and Sanctions campaigns. Australia is a tolerant country. When I am walking through East Lakes in my electorate wearing a kippah on my way home from Shabbat dinner it is not unusual for me to pass members of the Muslim community who greet me in a friendly fashion. Save for one exception when I first sought to gain political office, I have not experienced any form of threat or anti-Semitic attack. I am aware that they happen, but they do not happen frequently. However, I can tell members of the House that many people in the Maroubra Jewish community with whom I associate, particularly on Shabbat, are now concerned about wearing a kippah in the street. As a result of last Friday’s attack they are wearing baseball caps to try to disguise that they are Jews who are on their way home from Shabbat dinner. Friday’s attack in Bondi is a reminder that although Jews might be dispersed across many nations, we are also part of a single Jewish nation that is continuing to struggle for a legitimate place in the world. We seek a world of peace rather than persecution. Mrs TANYA DAVIES (Mulgoa) 3, by leave: I am pleased to offer bipartisan support for this motion with my parliamentary colleagues and condemn with one voice the anti-Semitic attacks that were inflicted on Jewish families in Bondi last week. I acknowledge Vic Alhadeff, Chief Executive Officer of the Jewish Board of Deputies, who is in the gallery, and his colleagues for their continued efforts and strong work to promote tolerance, understanding and celebration of the Jewish people and their faith in New South Wales. A few weeks ago I had the great honour of visiting Israel for the first time with a number of other parliamentary colleagues. I had the experience of seeing Israel, the only nation in the Middle East that is a truly democratic state, yet it continues to suffer undeserved attacks from its neighbours. Its citizens in New South Wales have also been attacked. It is incredibly distressing. 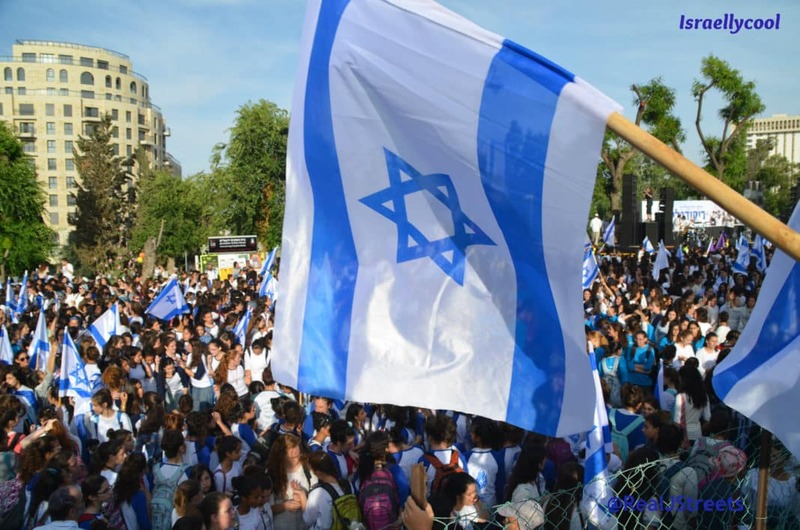 The violent attack in Bondi was perpetrated a few hours after an anti-Israel protest that was held in Denver, Colorado, and others that were held in France and Belgium. It is extremely important that the New South Wales Parliament, representing our great State, is united against the anti-Israeli protests. We should stand firm in support of tolerance and acceptance and rejoice in and celebrate diversity. As people we are not called to agree with each other. That is not a sign of a healthy democratic nation. We are called to respect each other’s views and the freedoms and rights that we each hold but, most importantly, to respect religious freedom and expression of speech. The people and Parliament of New South Wales, including the community that I represent in Western Sydney, condemn these anti-Semitic attacks. The Australian people condemn these anti-Semitic attacks. One of the victims of the attacks has called for education, which is critically important. I draw the attention of the House to a website that I was introduced to when I visited Israel—www.palwatch.org. It was set up to monitor and report information that is distributed on Palestinian television, radio and other media and through its education system. I urge all members to take five seconds to look at that website, because it reveals what sort of information the Palestinian authorities are propagating to their communities and young people. It is alarming and scary. It is time that we urged the leaders of all nations to stand up and say enough is enough. We want to live in a harmonious world in which we respect each other. We need to stop the indoctrination of our young to hate the people of Israel. Mr GARETH WARD (Kiama) 4, by leave: Many people would be aware that the electorate of Kiama is not necessarily one with a significant Jewish population. However, I have been involved with the Parliamentary Friends of Israel since becoming a member in this place—as was my predecessor, Mr Matthew Brown, before me. I am sure that the constituents of my electorate would want me to join with the member for Murray-Darling and record my strongest feelings in relation to racism and the recent attack at Bondi. And whilst I condemn that attack, I also celebrate our diversity and multiculturalism in this Chamber. As I grew up multiculturalism was encouraged in my community. My mother immigrated to this country. It is my belief that people who have come to this nation from overseas have made this nation truly great—they are part of the tapestry of cultures that we embrace. Tragically times and events are recorded in our history where Australia has not demonstrated its multiculturalism and the embracing of other cultures as we should have. The attack at Bondi is a stain on our society but it is not what should be considered as the norm. I note that Vic Alhadeff is seated in the gallery; I know him well. My connection with the Jewish community came about when I was secretary of the student council at the University of Wollongong. My friend Doran Katz, who was a member of the Jewish community, came into my office on one occasion quite distressed. The far Left on campus had been holding a rally condemning Israel and making anti-Semitic statements. I encouraged him to form the Wollongong chapter of the Australian Union of Jewish Students. We got together with a number of Jewish students and formed that chapter. When I attended the annual general meeting I was surprised to be nominated as their honorary vice president. That began my involvement with the Australian Union of Jewish Students. Every year I enjoy participating in the Illawarra Israeli Film Festival, which is run by Yoke Berry and a number of others, including Greg Rose from the University of Wollongong. There is no doubt that those opportunities remind me of the important place that God’s first people, the Israeli people, play in our society. When we hear of events such as the attack at Bondi one thinks of how difficult it still is to be Jewish today— Munich, the intifadas, Yom Kippur, the Six-Day War. How many times must these people suffer atrocities? In a country such as Australia that prides itself on liberty, diversity, democracy and freedom it is not only appropriate but also incumbent upon this House to pass this motion and condemn those responsible for the terrible attack that happened at Bondi. I want every community across New South Wales to know that law-abiding citizens, people who embrace our values of liberty, freedom, hope and opportunity are welcome in New South Wales every day of the week. We will stand behind those who embrace those values. So much of Israel’s existence is like a canary in a coalmine—they are surrounded by other nations that oppose their existence. I stand with Israel in supporting its right to exist. I condemn the actions of councils such as those we saw from Marrickville Council and those that engaged in the Boycott, Divestment and Sanctions campaign. This particular incident reminds me of the threat that Israeli citizens still face. They should not face those threats. The Parliament should support them and we should condemn any racist attack on any community, including the Israeli residents of our State. Mr JOHN WILLIAMS (Murray-Darling) 5 in reply: I acknowledge the presence in the public gallery of Vic Alhadeff, the Chief Executive Officer from the New South Wales Jewish Board of Deputies. He has listened to the debate this morning and I ask him to take the best wishes and thoughts of all members to the victims of this attack. The debate gives an indication of the support of this Parliament for the Jewish community. The member for Balmain in his contribution criticised me for attacking The Greens. But I still say that words and actions can have unintended consequences. If The Greens continue this type of behaviour then it will have unintended consequences, and that is my greatest fear. I followed the history of the State of Israeli as I was growing up. I grew up during the 1960s and remember watching television reports about the Six Day War. I followed the struggle of the Jewish people to establish the State of Israel. I have read much about it and am conscious of actions taken against Jewish people worldwide. It is of great concern to me that such a strong group of people can be continually subjected to this type of oppression. It is totally unacceptable. I thank members representing the electorates of Fairfield, Vaucluse, Heffron, Davidson, Cabramatta, Ryde, Balmain, Campbelltown, Parramatta, Maroubra, Coogee, Mulgoa, Coffs Harbour, Blacktown, Kiama, Penrith and Pittwater for their contributions to this debate. I was motivated to move this motion when I read the article by Tim Blair in the Daily Telegraph on Monday morning entitled, “Take the pro-chocolate approach to fighting anti-Semitism”. Members of this Chamber will be well aware of the protests outside the Max Brenner chocolate stores. I was interested to read that Kevin Rudd took appropriate action and went into a Max Brenner store to demonstrate his support. He opposes the boycott. I say to Mr David Shoebridge and other members of The Greens that they should demonstrate their support in the same way—they should get out there and demonstrate their support for these businesses. The Greens claim to be a peaceful group and say that they are not the antagonists in this situation. To be true to their word, they should get out there and demonstrate by their actions that they will cease this campaign. It is unacceptable. I think this motion is important as a way of saying, “This is it. We have drawn a line in the sand and this Parliament is not going to accept that kind of behaviour from this group of people. It has to stop today.” Such behaviour cannot continue. We have seen today a clear demonstration that members of this House will not continue to accept these actions. We are going to stop what could well be the unintended consequences of, and the fallout from, the words and actions of The Greens. While it is always good to hear of such support for Israel, their recognition of the nefarious nature of BDS and its connection to antisemitism is also very important (hat tip: Jono).